It all began with a wedding gown fashion designer Kim Seo-ryong created 25 years ago. It was for his friend’s wife, who wanted a one-of-a-kind dress. A full-time painter at the time, Kim designed clothes as a hobby, merely to make clothes he wants to wear. But that white dress changed everything. After the wedding, many requested Kim to make dresses for their special occasions. So he opened a dress boutique in 1995, and then later, decided to focus solely on menswear with his eponymous brand Kimseoryong. 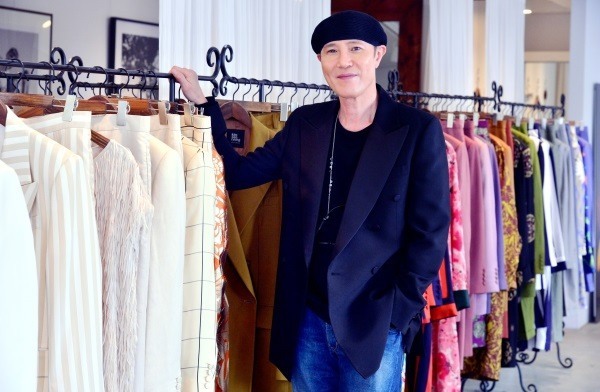 More than two decades have passed and the 58-year-old is one of the most renowned menswear designers here, who has dressed top celebrities from “Gangnam Style” star Psy and Gang Dong-won to Kim Woo-bin and K-pop stars like BTS and EXO, to name a few. Known for creating tailored suits with elegance and perfect fit, Kim says fashion is his means of communication. And that kind of carefree, “let it be” mantra is reflected in his multiplicity of fluid clothing -- such as silk flare pants, relaxed-fit suit -- but also in how he designs clothes and plans for the future. Kim is now busy prepping for a fashion show in April for his 2019 fall and winter collection. When this interview was taking place, models walked into the showroom to drop their resume to audition for his fashion show. This time, Kim is not taking the runway at the Seoul Fashion Week -- which he has graced for more than 20 seasons since 2001 -- but at an upscale lounge bar in Cheongdam-dong, southern Seoul. Last spring-summer season, he chose an unconventional venue of tennis stadium at Seoul’s Olympic Park, where models donned bright, colorful apparels with bold patterns under the sunlight, while wearing flip-flops to not ruin the court’s delicate surface. In the past, he chose an art gallery and also a makgeolli bar for his presentation. Kim chose some words to explain his upcoming collection: party, fancy, award ceremony and star. When he brainstorms concepts for each season, the process is more open-ended and spontaneous, and less of thorough planning. Hence the party concept for the upcoming season came, after allure to glittering and ritzy style. The motif of his collection has changed every season, from sometimes all monochromatic to eye-popping bright -- largely depending on his mood, preference and inspiration at the time. But one thing that hasn’t changed is the brand’s signature tailored silhouette delivering a seamless fit. Pattern making is at the heart of creating a perfectly fit suits, he emphasized. He still does everything from scratch, from pattern and designing the fabric, dyeing, to the final fitting. “This is the only way to keep my designs original and authentic,” he emphasized, adding giving the scarcity that the customers desire is critical for a designer. And that’s how his classic line have a sartorial punch to it. He plays around with exotic shades, romantic colors, bold prints and sometimes lot of sequins to menswear with ease. But rather than appear like a costume or over-the-top, they look like necessary additions to set off the design from run-of-the-mill suits. 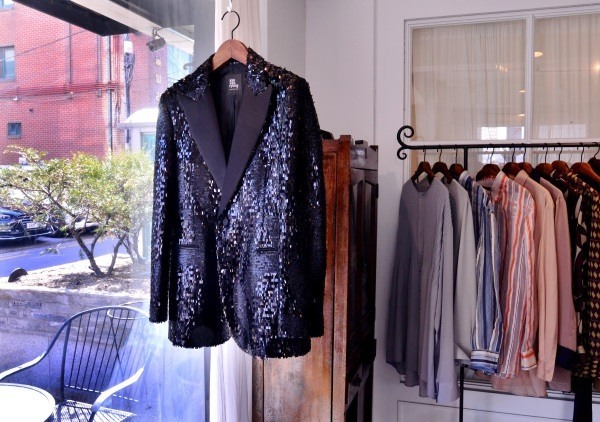 As said, bespoke clothing is at the center of his designs. But he also sees great value in tapping the masses: by launching a lower-price diffusion line K by Kimseoryong. 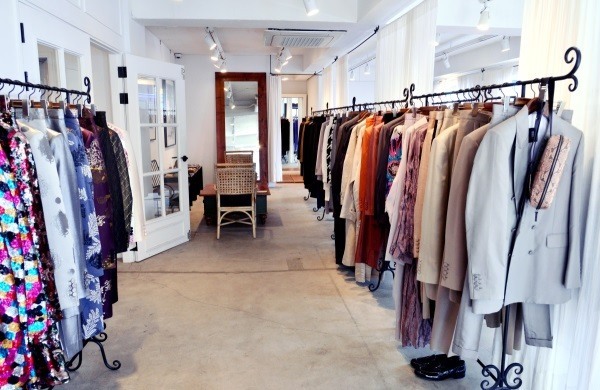 From cashmere coat to business suits, the pieces sell via home shopping channels in Korea. His collection is really popular, always selling out after the launch. Kim said he will continue to design for the secondary line, as it can reach more diverse customers. Also, home shopping sales are another important source of revenue that can help build his brand stronger, and put out quality collection and shows as well. But he seems less interested in becoming a high-flying designer -- because perhaps he already is -- or making a huge fortune. That’s part of the reason why he is focusing on the Korean market, although he had done shows in New York and London in the past. 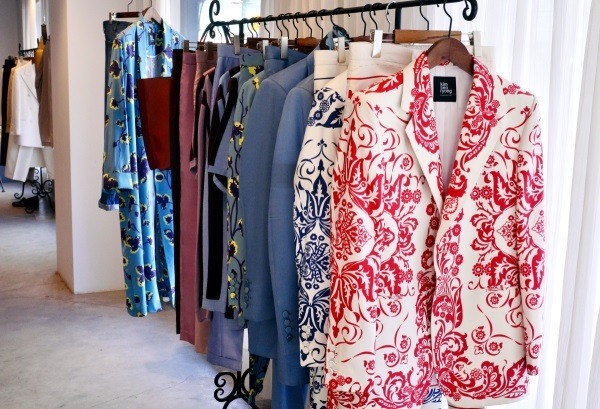 “This is where I can do the best,” he said, while pointing to the collection of clothes displayed at his showroom. He also added teaching students is another job he appreciates a lot. Kim has taught design and pattern-making at Shinhan University for a long time.